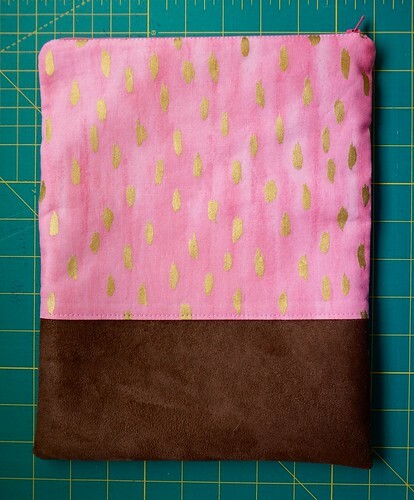 I love the look of a fold over clutch, and with little time left to sew up last minute gifts, this is a pleaser. 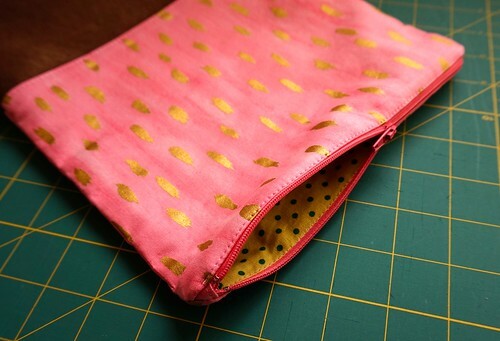 It’s also great for fat quarters and scraps, or reusing those leather pieces from thrifted items. I didn’t take pics while making it, but I’ll provide the sizes if you want to duplicate. I really like how simple and clean these look, and you can put whatever you want inside to gift, or just leave it empty. It’s pretty great on it’s own as well! 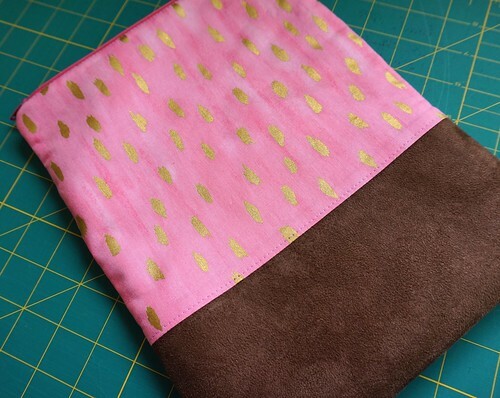 I found my inspiration for this at Craftiness is Not Optional, and she links to some tutorials too for zipper pouches if you need some guidance, or you can just search for some on your own, they are plentiful! 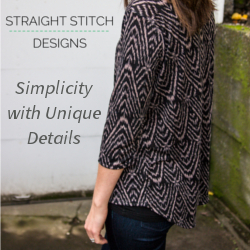 There’s no reason last minute gift sewing needs to be stressful. 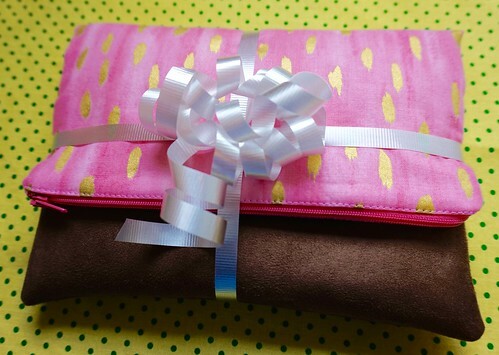 Drink lots of hot cocoa/tea/coffee (be careful with the wine, that’s when I make my mistakes…oops), eat lots of chocolate, and happy sewing! 🙂 That’s what I’m doing ladies!